JJ Corry ‘The Gael’ Irish Blended Whiskey Now Available in the UK. Cooraclare, Co. Clare, Ireland (October 17 2017) -- The Chapel Gate Irish Whiskey Co., Ireland’s only whiskey bonder, has announced the launch of its first whiskey, J.J. Corry, in the U.K. market. J.J. Corry ‘The Gael’ is made with 5% 26-year-old single malt, 27.5% 11-year-old single malt, 27.5% 15-year-old single malt and the remaining 40% is 7-year-old single grain whiskey. The whiskey is available in 500ml for £60 and 750ml for £80. It is bottled at 46% ABV, is non-chill filtered and has no artificial colour added. The first batch of 7,500 bottles is available on www.WhiskeyExchange.com and www.CelticWhiskeyShop.com. 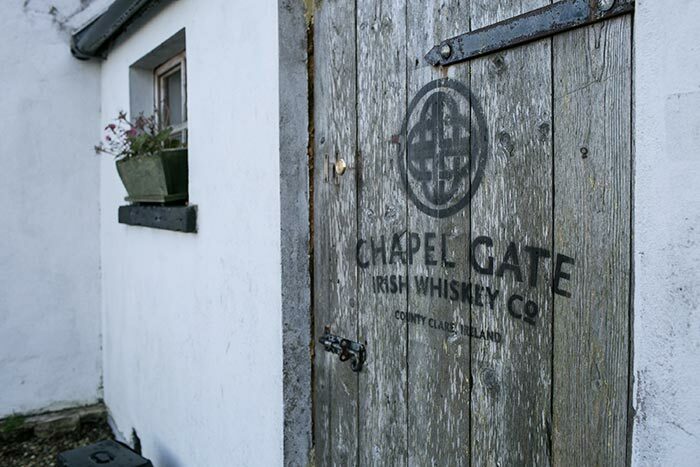 The Chapel Gate Irish Whiskey Co. was founded by Louise McGuane in 2015 and has resurrected the lost art of Irish whiskey bonding under the JJ Corry brand name. 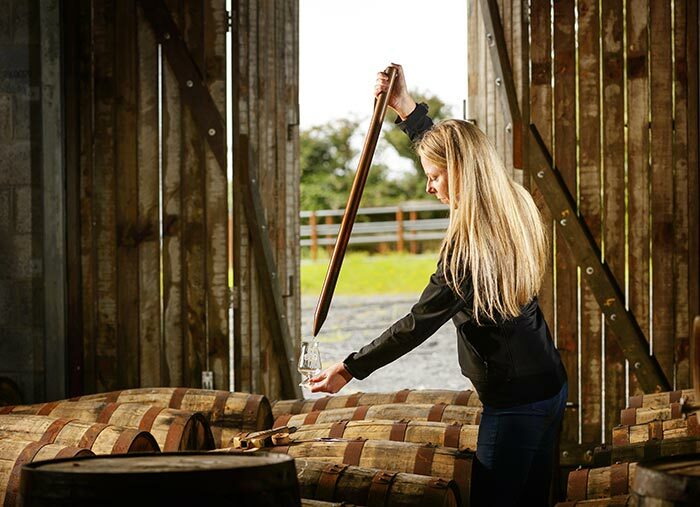 The company is maturing whiskey in a purpose built bonded rackhouse on the McGuane family farm in Cooraclare, County Clare, Ireland. Irish Whiskey Bonding is the practice of sourcing whiskey from third party distilleries, maturing it onsite until it is ready and then finishing or blending liquids to create a unique stand-alone whiskey. Bonding was a once common way of producing whiskey in Ireland and bonders were often publicans and grocers in local towns creating whiskey for their local clientele. The practice died out in the early 20th Century when the Irish whiskey industry collapsed. Instead of selling to bonders, the few remaining distilleries in Ireland chose to control their route to market and cut off supply to the local Bonders. 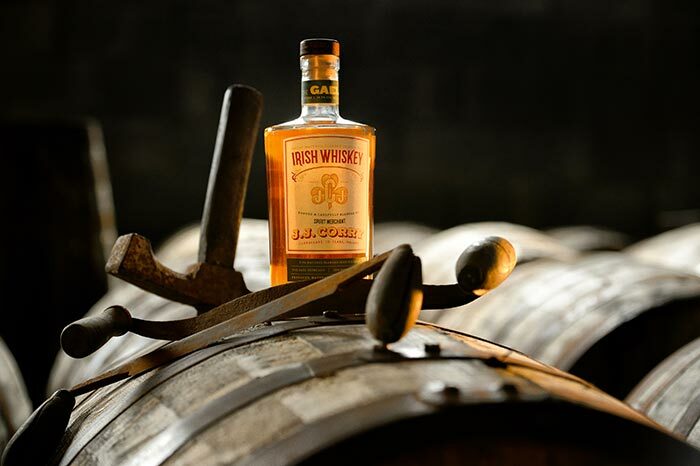 As the company waits for their own Irish whiskey casks to come of age, they have sourced mature Irish whiskey from existing stocks in Ireland. With these casks they have created a series of unique and complex blends to build a future house style and flavour profile. J.J. Corry ‘The Gael’ is a clearly definable Irish whiskey with those fruit forward flavours that whiskey lovers look for in Irish whiskey. The Gael is named after a bicycle that whiskey bonder J.J. Corry invented in the 1890s. J.J. Corry was born in the parish of Cooraclare, where the business is based, and he bonded and blended whiskey in his shop and pub at 63 Henry Street, Kilrush from the 1890’s until his death in 1932. J.J. Corry ‘The Gael’ has a classic Irish whiskey profile with full white stone fruit flavours, notes of lime with a hint of pink peppercorns and a dried grapefruit and apple finish.